What I love most about living in Northumberland is the abundance of costal towns and villages that I can visit on a little day trip. This week me and Mrs. Cool headed to Amble for a little ramble and a bite to eat. 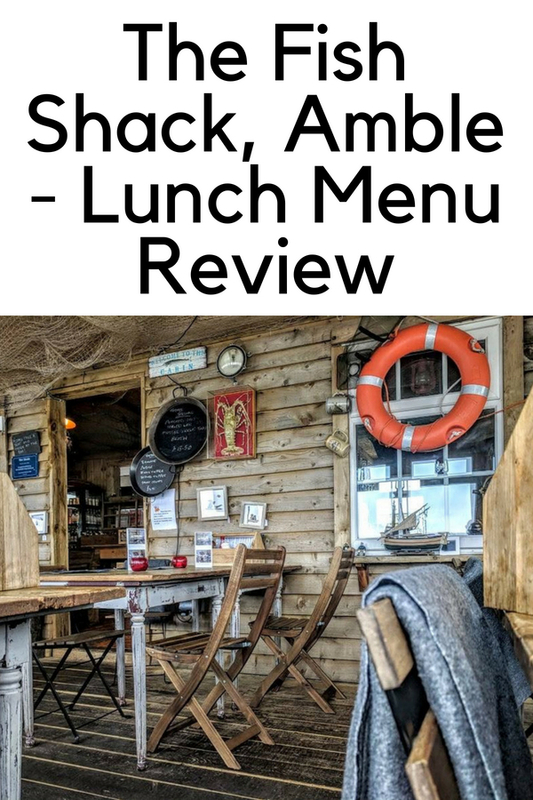 The Fish Shack in Amble is the perfect harbourside retreat if you're looking to have a fishy on a little dishy. The shack itself was made out of an old ship called Sea Quest. There is a main dining area with two little nooks either side for a more private meal. We sat in the main dining area and as much as I loved the exterior, the interior is even better. 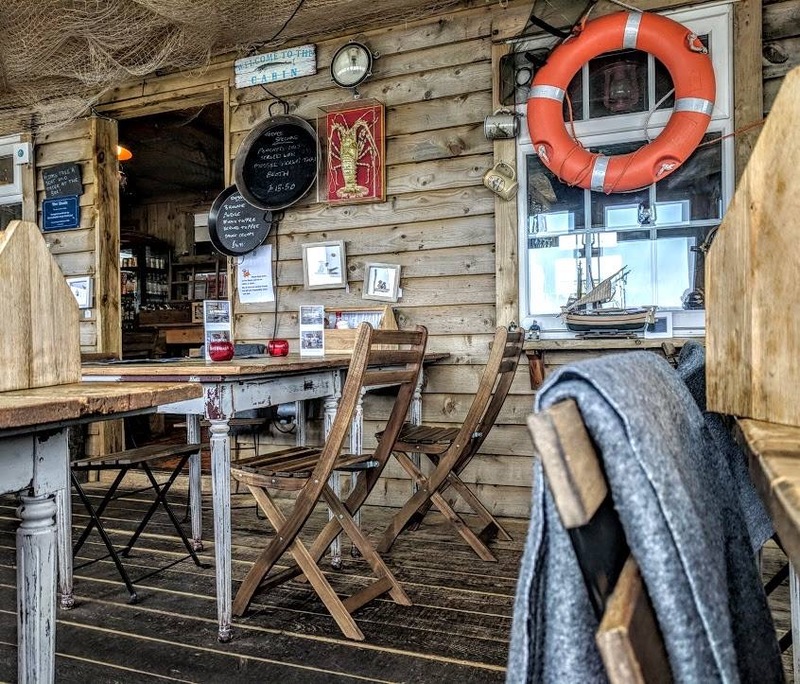 There are rustic wooden tables and chairs (very instagramable) and the walls are adorned with all manner of fishing paraphernalia and even snuggly little blankets for if it gets too chilly. We had looked at the menu on their website before hand and already had an idea of what we were going to have, it was a hard choice though as all of the dishes on the menu sound great. Now I don't know if they were training new staff or if they were just having an off day but the service was a little... Shall we say, 'erratic'. While we were waiting for our meals to come another table had theirs served but only one dish was brought out, a few minutes later the waitress came back out and apologised to another diner as she had given their meal to the other table. 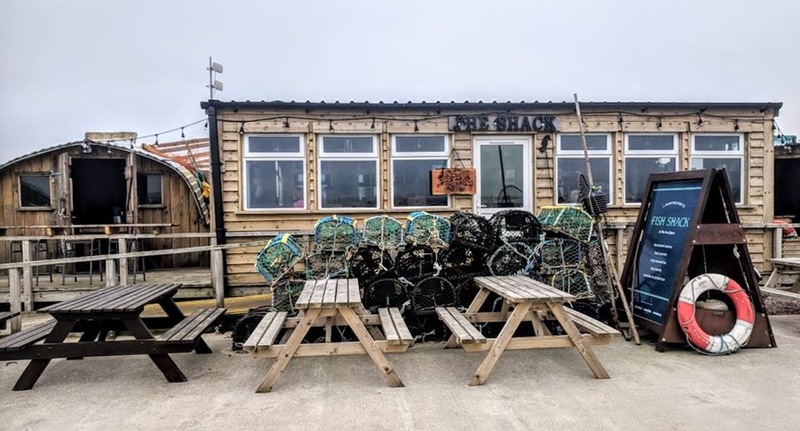 Whilst I can imagine this being a slight inconvenience to the diners involved we found this amusing and it just added to the quirky charm of the Fish Shack. Mrs. 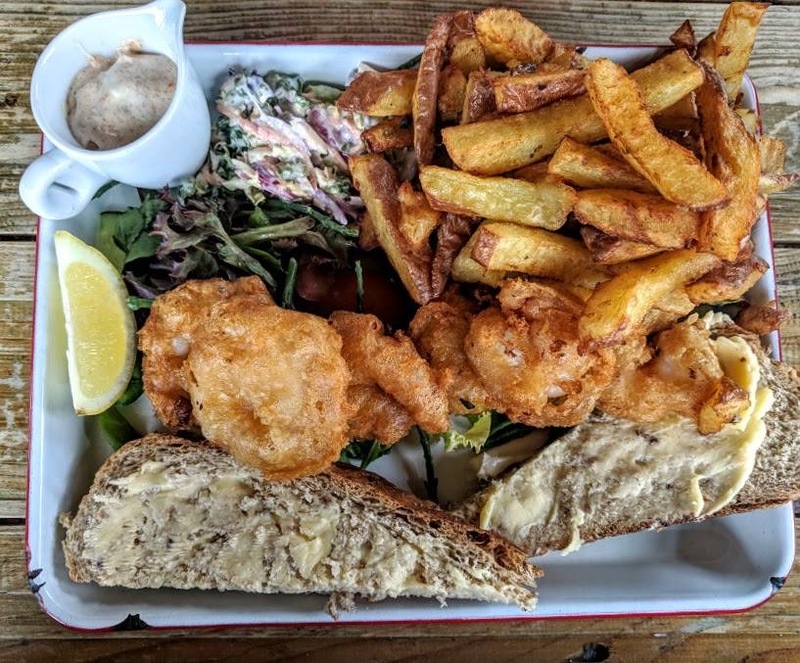 Cool went for the Beer Battered Tiger Prawn Tails which comes with Chilli Pil Pil Dip, Spring Salad and Twice Cooked Chips. The chips are amazing (why are chips always better when they're cooked more than once?) The prawns were plentiful and succulent. It was a pretty big portion for lunch and Mrs. Cool couldn't finish it all and although she loves a bit of rustic bread she had to sacrifice it on this occasion so she could finish all the prawns. 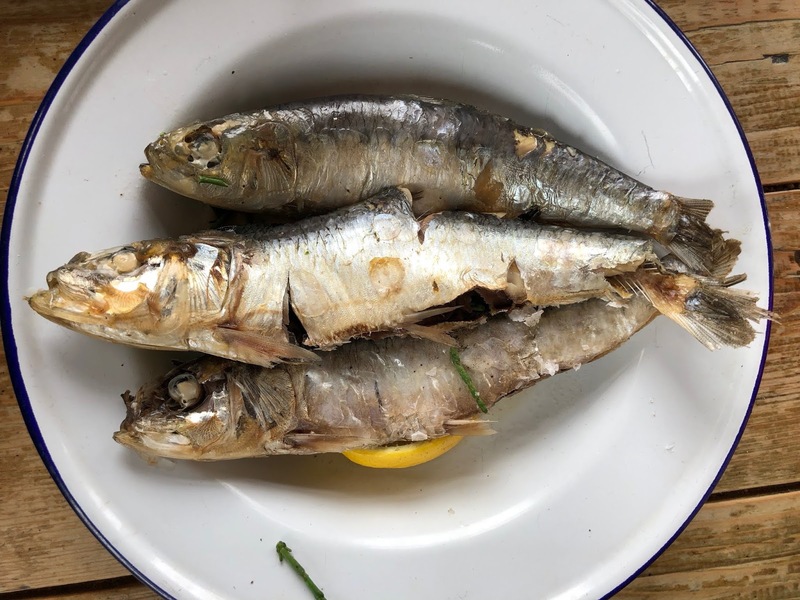 I love a strong fish and although I don't order it often (it can be a bit fiddly with all the bones) I do love Sardines so I went for the Sea Salt and Thyme Roasted Sardines, this is supposed to be served with Patatas Bravas and Spicy Tomato Sauce but for some reason mine was served with the sides for a different dish on the menu (The Whole Swallow's of Seahouses Kipper) so I ended up with Toasted rustic bread and Horseradish and Dill Poatoes (I told you the service was weird) I didn't mind though and enjoyed it all the same. 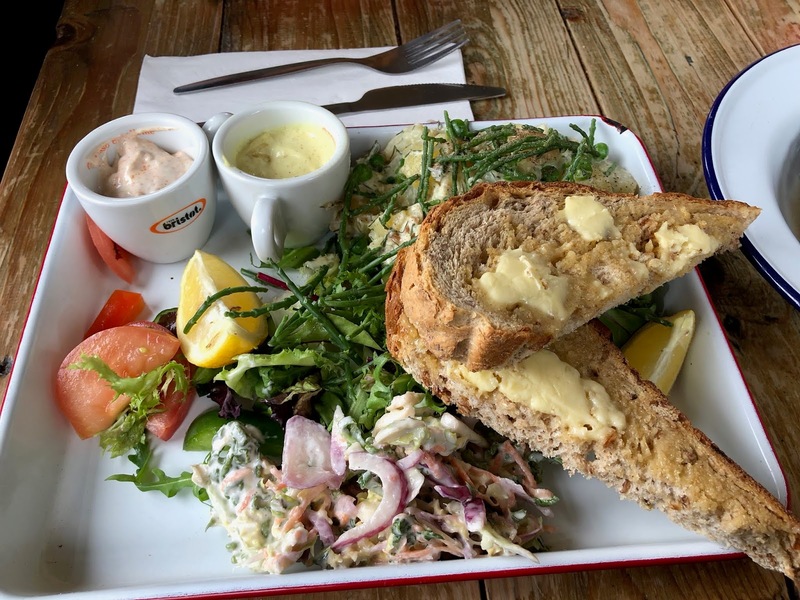 Despite the service issues the food was all great and our waitress did apologise when I mentioned about the mix up with the sides and they offered us a complimentary dessert but we were pretty stuffed and weren't particularly put out so we declined. 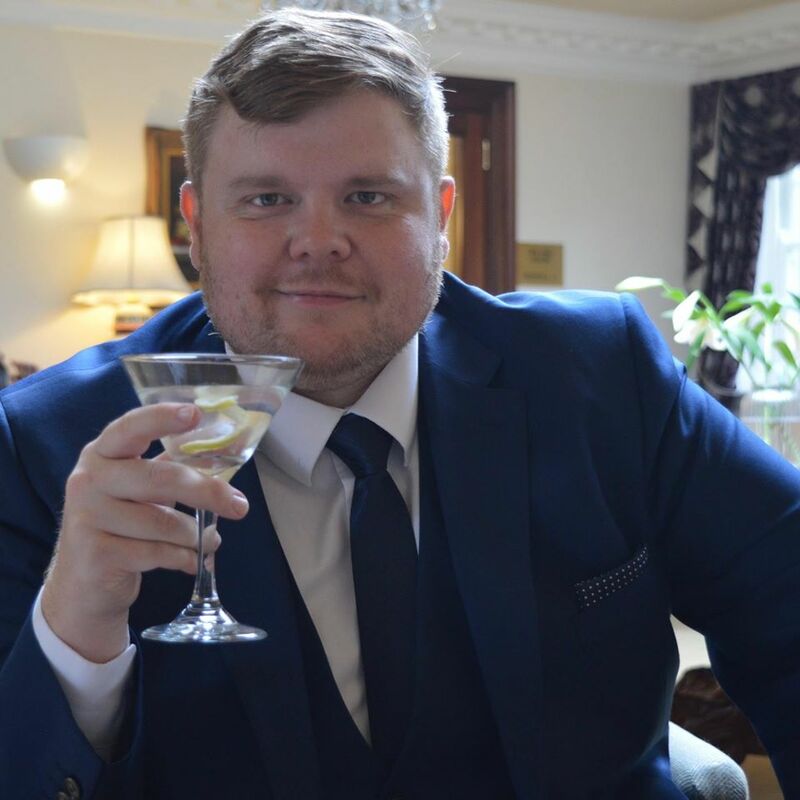 The bill came to £28 including 2 drinks and I think it is really good value for money. Next time we are in Amble we will try The Fish Shack again as there are few more dishes I want to sample. I absolutely love the look of this fab little place, the interior is lovely and the food looks immense! Shame that the service was a little off but at least it didn't effect your experience. We definitely need to add this to our list!